Today, people all over the world are embracing wireless technology as part of their daily lives without ever questioning if it is safe. 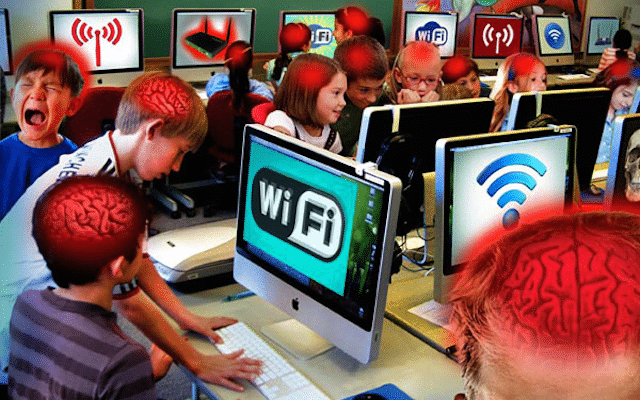 According to thousands of studies, wireless technology can be harmful, especially to children, but the truth is being covered up. The good news is that information is readily available from people who care about your health, and there are steps that you can take to protect yourself and protect people you care about. The bad news is that the wireless technology industry has lots of money to cover up the truth and keep advancing its agenda. Thus, its time for individuals to take action to protect their health and the health of others. According to Dr. Mercola, "Electromagnetic fields (EMFs) from cell phones, cell phone towers, wireless Internet, power lines, household electrical wiring and more can trigger serious symptoms, including headaches, fatigue and confusion, in people who are electrosensitive. There are a number of factors that influence the degree to which you may be affected by EMFs, and your level of heavy metal toxicity is likely one of them. 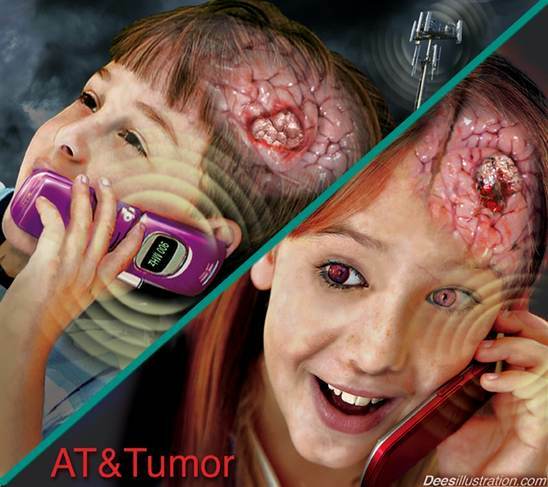 Heavy metals in your brain also act as micro-antennas, concentrating and increasing reception of EMF radiation. Any kind of metal implants and/or amalgam (silver) tooth fillings will significantly increase reception of microwaves, and the mircrocurrents from cell phones and other ambient fields." The Bible says, "The love of money is a root of all kinds of evil." (1 Timothy 6:10). In solving crime mysteries, it's also known that "following the money" is helpful. The truth about the dangers of wireless technology is being covered up by a lobbying group called the CTIA, an advocacy group representing all sectors of the wireless communications industry in the United States. They have lots of money to make sure that the public is not warned about anything that is bad for the profits of the group’s members. Although they claim to promote a wonderful “mobile ecosystem that enable Americans to lead a 21st century connected life,” they are secretly helping introduce legislation that will make it impossible for victims of wireless technology to sue any of the group members in the future – when the world eventually realizes that wireless technology is like cigarettes – fun to smoke but addictive to many people and deadly to some. They and other groups also work hard to make sure that the truth of this article is kept from general health practitioners and the general public. Wi-Fi is convenient, but few people consider the health risks. WiFi transmitters can irradiate female eggs and cause birth defects in their children years later. WiFi is basically like a microwave oven without the enclosure. It heats up cells and can cause all kinds of damage and illness, like headaches, fatigue and mental fog. It's potential for harm is greatest to unborn babies and young children. The damage to women’s ovaries may not show up for one generation, but when it does, the change will be irreversible! And it gets even worse! The new 5G routers are 12 times worse than 4G, because they emit microwaves with shorter wavelengths; and some countries like the US are planning to install them everywhere for the "Internet of Things" (IoT). Smartphones emit microwaves that are class 2b carcinogens, like mercury and lead, so it’s unwise for anyone to keep them close to their bodies. It's also unwise to give smartphones or tablets to children to play with, since children absorb more electromagnetic radiation than adults do. 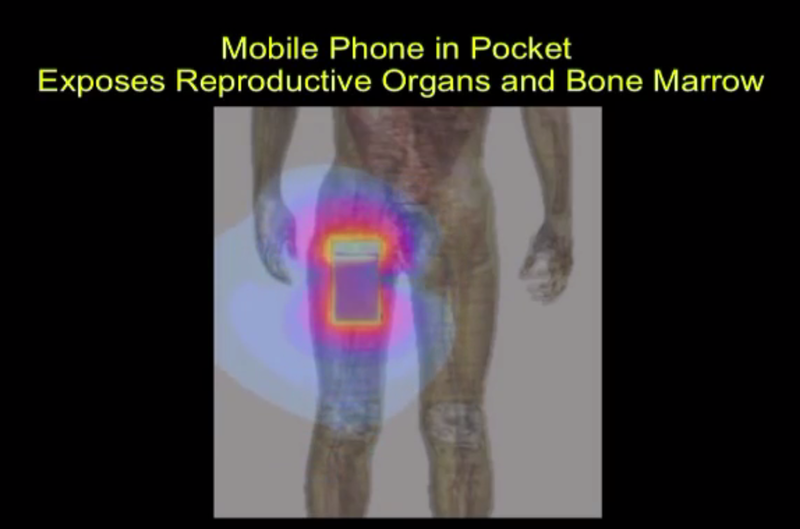 And it's unwise for anyone to carry smartphones in their pockets, as it could cause them to get cancer in their reproductive organs 5-10 years later. iPads and other tablet devices have even more EMR than smartphones due to the screen size. Parents and teachers should never let small children play with these, as they can damage children's brains and reproductive organs. Adults should also keep them away from their reproductive organs, as they can cause infertility or even cancer. (See Cell Phone Use Linked to Male Infertility and Barrie Trower WiFi Report - Humanity At The Brink). 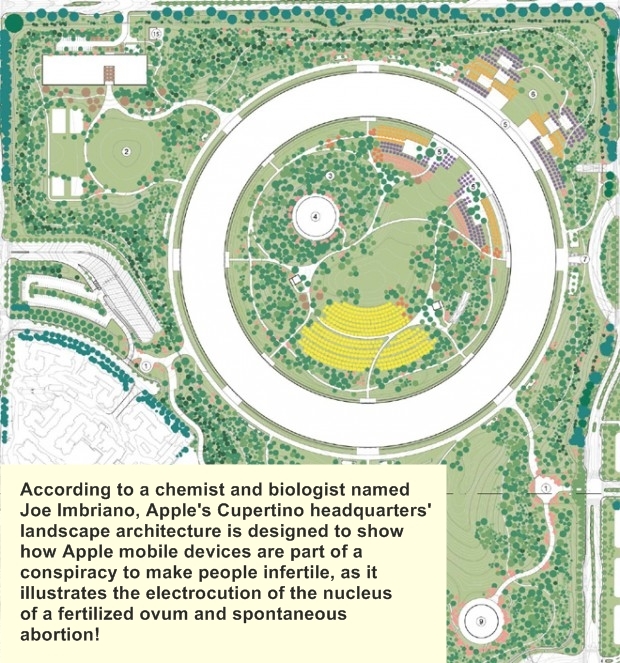 Furthermore, there is evidence that technology companies like Apple are actually trying to make people infertile through their devices. (See Apple 666, The infertility pad (iPad), Artemis, Project Inkwell and Agenda 21-an expose with an all star cast). 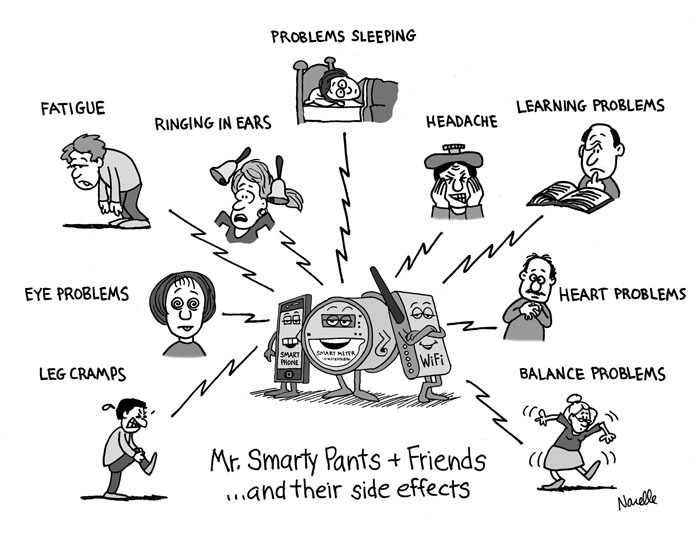 Smart meters are also a big problem, causing health problems to many. If your home has one, then remove it or move elsewhere. If your neighborhood doesn’t have one yet, then be glad and warn people about the dangers. Always remind yourself that safety comes first, convenience last. Avoid carrying your smartphone on your body; try to keep it a minimum of 20cm to 1m away from your body. Insulate your smartphone with a rubber case to minimize microwave radiation transmission into your body. Don’t use a Bluetooth headset. When possible, for phone calls, use a land line instead of a smartphone. If you must have Wi-Fi at home, turn off when not watching videos and especially at night during sleep, when you don’t need it and when your body repairs its cells. Avoid having metal objects on your body, since these transmit EM waves, e.g., watches, bracelets, metal-rimmed glasses, metal wires under women’s bras, metal tooth fillings. Prioritize digital communication and exercise self-control; be the boss! Don’t let your mobile device control you! Avoid holding your smartphone for more than six minutes at a time; for phone calls longer than six minutes, use an external headset. Stay at least 10m away from WiFi transmitters during the day; move your desk if necessary. Use a PC emulator for your chat apps, so you can chat via PC and fast broadband instead of with a smartphone and Wi-Fi. Go outdoors as often as possible, especially where there are no WiFi signals. Get sufficient sleep (6-8 hours per night for most people); use internal clocks rather than alarm clocks. Try to sleep before midnight every night. Exercise regularly, especially cardiovascular exercise that causes lots of sweating. Visit the countryside or wilderness once in a while to know what it feels like to be without WiFi. Eat non-GMO and non-processed foods, with lots of fruits and vegetables. Avoid using a PC or smartphone two hours before sleeping and one hour after waking up, except for urgent matters. If you feel a headache coming, stop and rest; an icepack on the forehead and eyes can help; take a nap if possible. Do not purchase Internet-of-things (IoT) devices; use good old common sense and non-IoT devices. Avoid working and living in densely populated urban areas with lots of cell towers and WiFi. Hire an electrical engineer to insulate your home against EM waves from the outside. Yes! Listen to the stories of men and women who survived but have scars from surgery. Yes! Listen to the stories of women who placed their cell phones in their bras and lived to regret it. Around the world, an increasing number of governments and authorities have banned or warned against the use of WiFi in schools. Many experts, scientists and doctors are warning the public to take a precautionary approach. This 18-minute video examines the facts. In this 5-minute video, an acoustimeter is used to measure the total wireless frequency exposure of a smartphone in a location. The readings are quite lower when Airplane Mode is turned on. Lena is a mother of three and personally suffered from health issues that went away when she stopped using WiFi and smartphones and uninstalled her home’s smart meter. When her child’s school began to install multiple WiFi transmitters, she became an advocate for safety and started exposing the dangers of WiFi. In this radio interview, she explains her mission and shares her message. 5G will open the door to even higher levels of human illness and severe disability. (37-minute video) LED lighting is a cold white unnatural light and when forced on us at night, is a weapon ladies and gentlemen. This weaponry works synergistically with microwave exposure to destroy your pineal gland. The nocturnal white and blue light energy enters your body through your eyes and nearly completely destroys your melatonin production, thereby destroying your circadian rhythm, destroying your sleep and in the process, your health. The National Association for Children and Safe Technology has launched a letter writing campaign entitled, Turn It Off 4 Kids. They are reaching out to various organizations whose mission supports children's health and well being. Good information from parents who have researched the scientific literature on the biological effects of EMR and also the background to the ongoing debate. They fully support the use of technology, computers and the internet for education in schools but also believe that schools have a duty to provide a safe learning environment for all children. They favour wired communications as a safer option until there is conclusive evidence that there are no harmful effects from long-term wireless use. Barrie Trower is a Royal Navy microwave weapons expert. After retiring, he taught physics for many years. When wireless technology became prevalent and new diseases began to occur on a large scale, he became a go-to-guy for answers on how microwave radiation works. Prevention is the best cure. If there is a possibility that something is dangerous, why risk exposure to it? Good, articles on the massive Satanic conspiracy to harm humanity through wireless communication devices. Convenient technology can potentially be harmful in the long term to our bodies, our relationships and even our souls! Are we becoming slaves to convenient technology? Have technology and convenience become idols? What can we do to avoid eternal regret from getting addicted to technology and convenience? Each 5G product will also have multiple phased array antennas which will be used to create a powerful beam of radiation back to the 5G devices mounted on electrical utility poles or toward a specific satellite in space. These beams of radiation will also need to be strong enough to pass through walls and human flesh such as a hand or head to reach the intended destination. 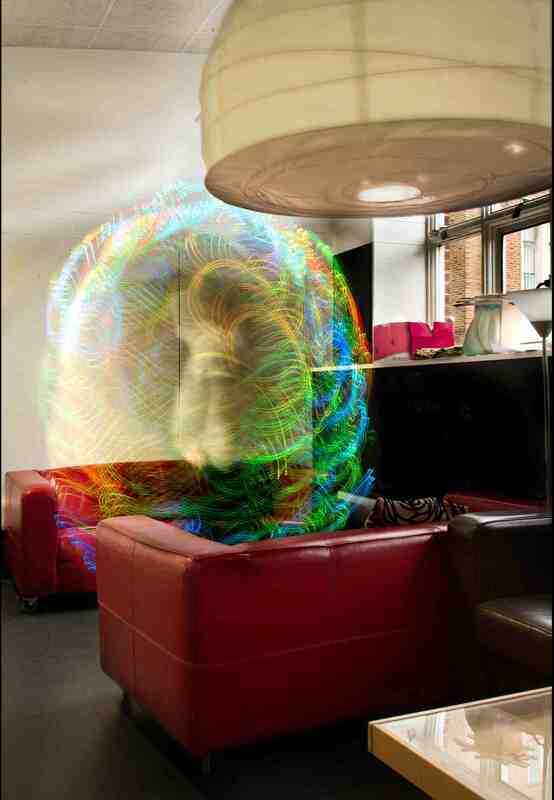 This means that if you are in a crowded location, such as an airport or on a train, there will be hundreds if not thousands of invisible beams of radiation flying through the environment at the speed of light. "Putting in tens of millions of 5G antennae without a single biological test of safety has got to be about the stupidest idea anyone has had in the history of the world." - Dr. Martin L. Pall, a PhD and Professor Emeritus of Biochemistry and Basic Medical Sciences at Washington State University. But despite the objections of Dr. Pall and countless other scientists, we are going to do it anyway. Jesus said, "It is also written: 'You shall not test the LORD your God!'" This page was last updated on 23 June 2018.